Cones (the biggest you got!). 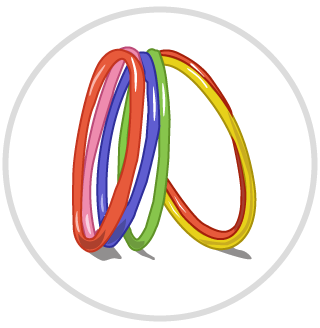 Put the kids into teams (teams of 2 or 3 work best), and give each team a hula hoop and a cone. Tell each team that they have 2-minutes to find somewhere to put their golf hole (hula hoop), and tell them that they must mark its location by setting the cone up right beside it. Give each team a Frisbee (or give each kid a Frisbee if you have enough), and tell them that the object of the game is to get the lowest TOTAL score for the entire course. You can have all of the kids start from the same spot, or give them free reign to start from wherever they want. When they are holding their Frisbee, they are allowed to pivot on one foot (like in basketball), but can not move. From their start position, they must agree, as a team, as to which hula hoop they are shooting for first (no changing holes mid-course!). They throw their Frisbee and let it land. They then go to wherever it landed, pick it up and throw from there (each time advancing closer to their designated hula hoop). After getting the Frisbee to land directly inside the hula hoop, they use said hula hoop as the starting spot to head towards the next hole (that they once again decide on as a team). 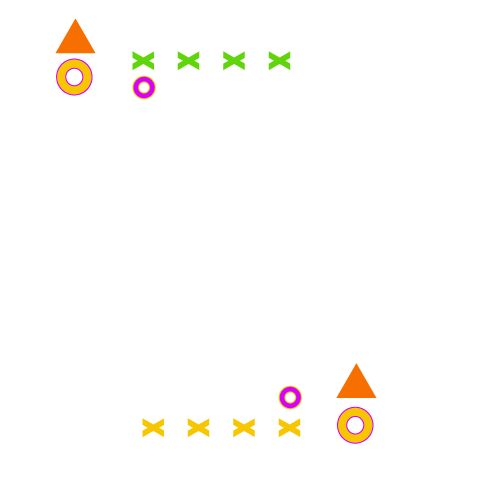 If kids are sharing Frisbees, one person throws, then they all go to where it lands, and then the next person throws (taking turns). At the end of the time, or once everyone has finished the course, add up the total score and see who is the winner!